Facebook has about 1.2 billion members. This is what they faces of each one of those members look like. 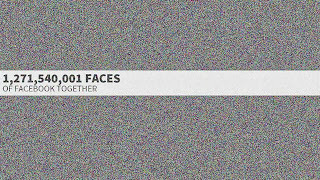 Yes, apparently all 1.2 billion of them here... in chronological order, at Faces of Facebook created by Natalia Rojas. 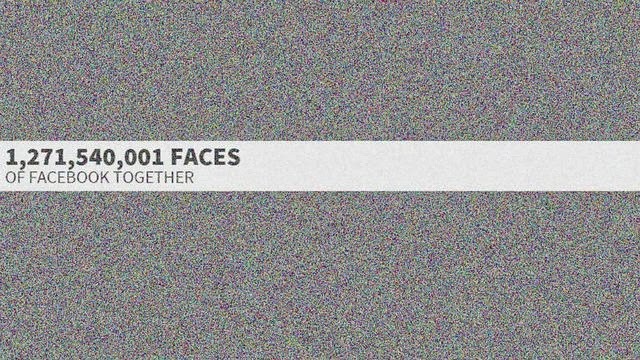 Each face/member is represented by a pixel that you can zoom in on. Whoa. Mind. Blown.